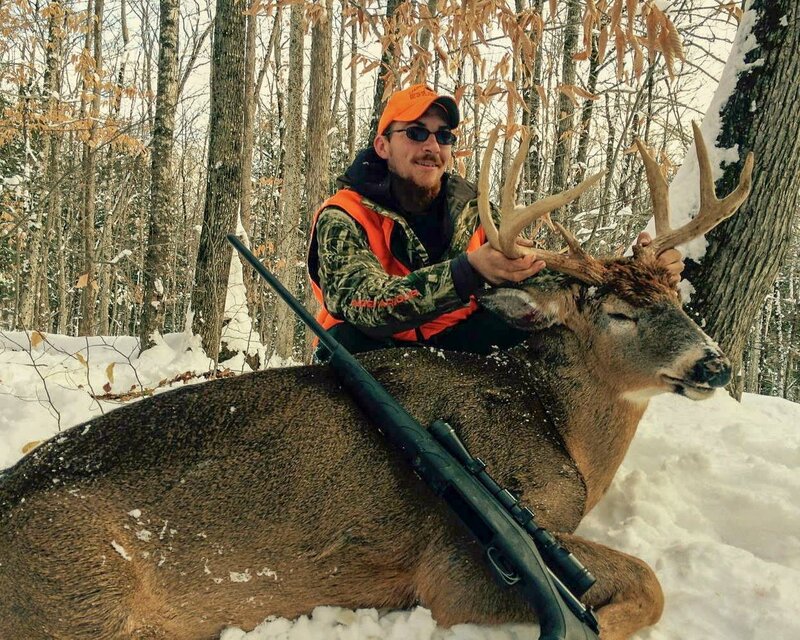 The Allagash region is famous for trophy whitetail deer hunting! 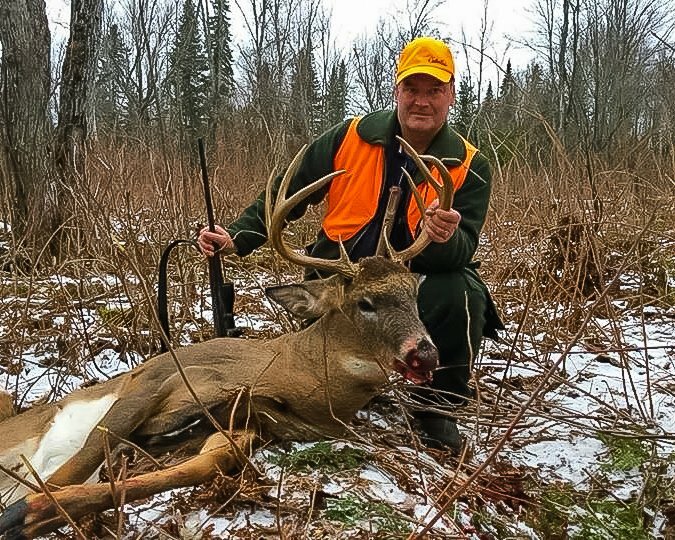 With Allagash Guide Service, hunters have the opportunity to take a trophy buck, weighing 200 lbs. or more. Many of these deer have exceptional racks with bodies of great mass. The vast northern hardwood ridges, with mixed pockets of spruce-fir and cedar valleys, extend for hundreds of thousands of acres. Commercial forestry is the prime industry in the Allagash region, and we use this to our advantage. Selective harvesting, clear-cuts and logging roads aid in our successful whitetail deer hunting opportunities. Logging roads allow us to access all areas of the North Maine Woods; select-cuts and clear-cuts create good food plots and edges to hunt for lurking bucks. 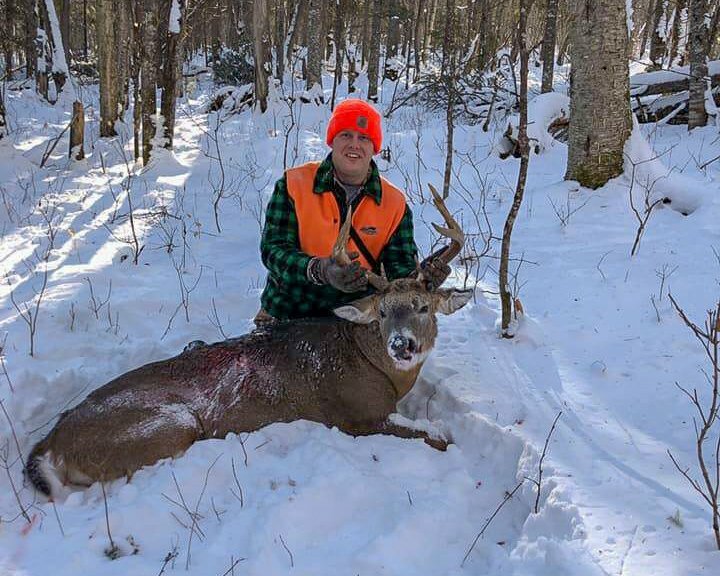 Northern Maine is the whitetail’s northernmost range, where early November snowfall and rut offer hunters plentiful deer activity and premier tracking conditions throughout the month. 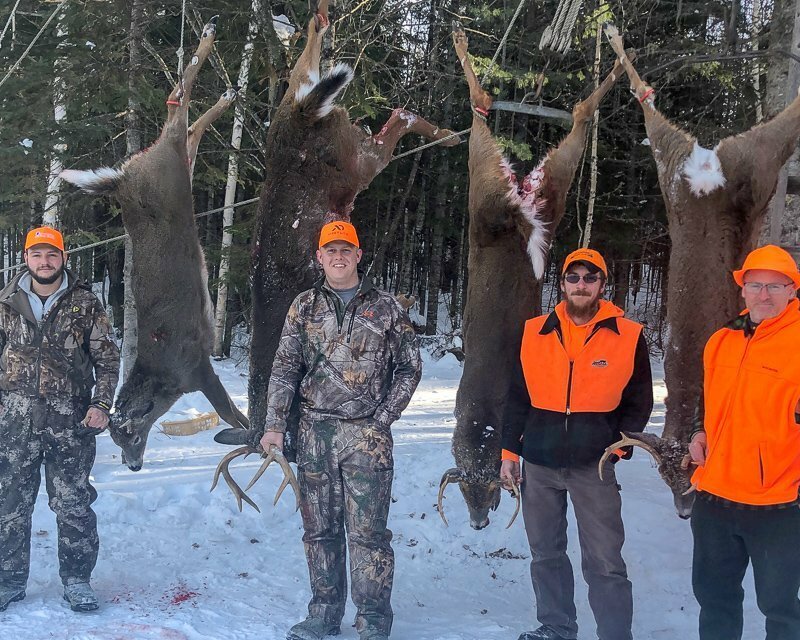 Deer hunting in northern Maine utilizes all hunting methods, still hunting, tracking white tails, spotting, tree stands and deer calls. 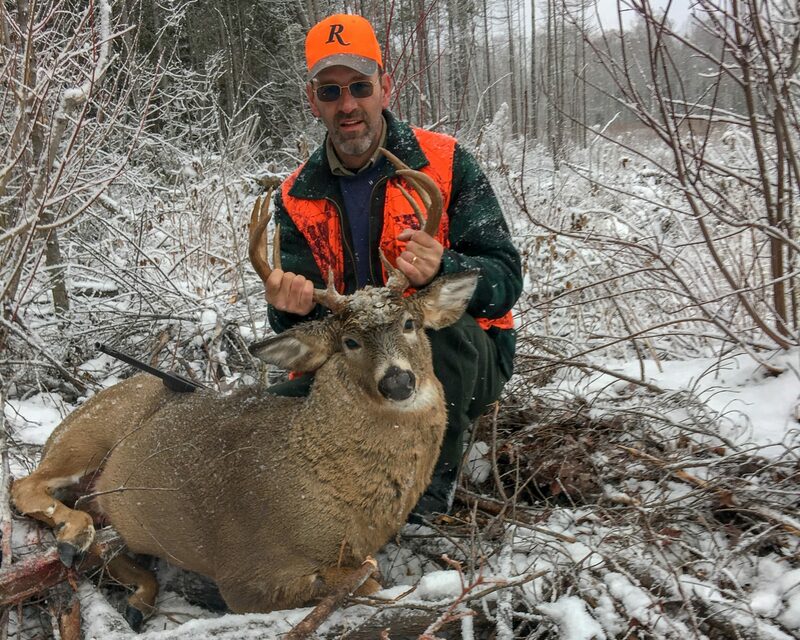 The whitetail deer firearm season occurs throughout November, while the whitetail deer muzzleloader season is during the first week of December. Contact us for specific season dates. 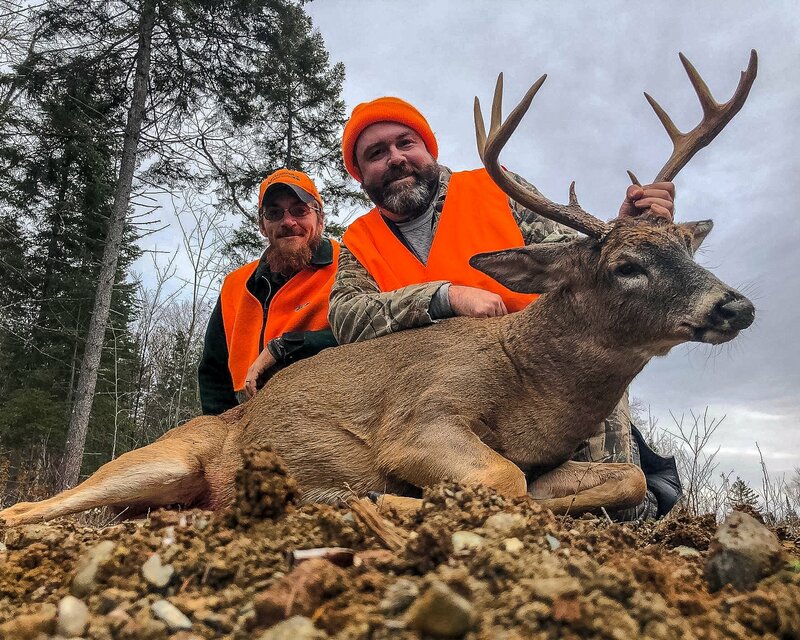 At Allagash Guide Service, we provide exciting and challenging trophy deer hunting trips in Maine. By choosing us, you will hunt with the region’s most successful deer hunting outfitter. Our local guides spend countless hours scouting and preparing a hunt for you. While tracking is our preferred method, we understand that conditions do not always allow for it. For this reason, we spend a great deal of time checking deer trails, crossings and high density areas for deer activity. We set up stands and establish walking trails for our hunters in these areas. In addition, we use GPS, mapping software and printed landowner forest-type maps. Hunt pricing includes 6 nights of lodging, 5 days of hunting, meals, guide, private land access fees, game retrieval, cold storage and transportation throughout the week. 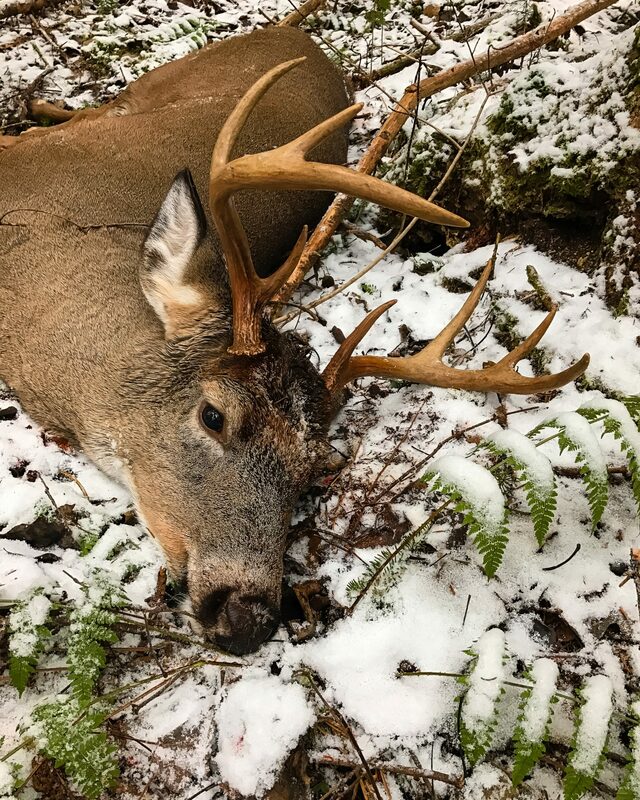 We will guide your group in the field during the first day of your hunt with the intention of placing you in good deer habitat early in the week so that you can make the most of your week in Allagash. We hunt in areas with pre-placed tree stands, ribbon trails for still hunting or select-cuts that offer deer many edges and lots of available young hardwood browse they feed on. It is very beneficial to be familiar using a GPS as our guides can input waypoint coordinates into your GPS to help you find and navigate areas that we have scouted pre-season. Also by using mapping software we will be able to help you throughout your stay and more than just the first day of your hunt. Semi-Guided Deer Hunts include 7 nights lodging, 6 days hunting, meals, and one day of guiding for your group.